This Soulful Cover Of Kun Faya Kun Will Give You Goosebumps! We absolutely loved A.R. Rahman’s “Kun Faya Kun” from Rockstar, it’s just so soothing! Don’t you love it too? We don’t think anyone can dislike that song, really! 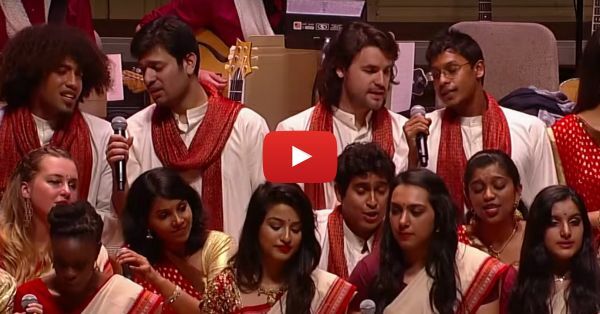 And this cover of the song by “The Berklee Indian Ensemble” is totally giving us goosebumps. And not just that, but it's also calming our minds and making our hearts sing a bit! We just want to keep listening to it... Actually, maybe we will! So go listen to it now because this song is exactly what you need to make your day perfect! PLUS: Subscribe to POPxo on YouTube for original videos + our favourite videos from around the web! MUST-READ: This Mashup Of “Tujh Mein Rab Dikhta Hai” Is Just… Fantastic! MUST-READ: Bolna & Sab Tera Together? Simran Kaur’s Cover Is SO Amazing!